We are back in NC and enjoying the spring that has finally arrived! Well, I should say I’m enjoying it and Kyle is complaining about how hot the house is now without any A/C. 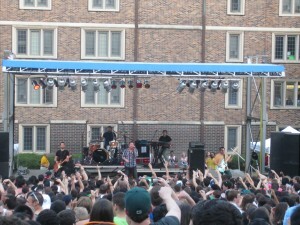 Nothing else out of the ordinary went on except we had a meeting regarding evangelism, one of my favorite subjects, which I’ll post on this week and we saw Smash Mouth in concert on Friday night at our university. Grayson from Debt Roundup wouldn’t pay off his wife’s debt even if it’s “good” debt – great comments on that one! Lance from Money Life and More explains under what circumstances you should not contribute to a 401(k). Gillian from Money After Graduation observes that some financial advisors manage their own financial lives terribly. Erika from Newlyweds on a Budget asks whether using a Roth IRA as a savings account for a house down payment is a good idea. Pauline from Reach Financial Independence asks which of these bloggers are truly retired and reports the results. Daniel from Sweating the Big Stuff reports the average age of first time home ownership. Kim from Eyes on the Dollar explains why she and her husband took until age 40 to pay off their student loans. Kathleen from Frugal Portland is buying a condo – the one she gave up on months ago! Congratulations! Suba from Wealth Informatics is saying goodbye to Los Angeles, CA and hello to Vancouver, WA. KK from Student Debt Survivor included Do You Want a Vacation Home? in her Survivor’s Standouts. Republic Wireless Review was featured in the Financial Simplicity Carnival. Disagreement Over Grad Student Health Insurance Taxes was featured in the Yakezie Carnival. Considerations for Grad Students Buying Houses was featured in the Financial Carnival for Young Adults. Missteps on the Road to Value: Cell Phone Saga was featured in the Festival of Frugality. Marginal Tax Brackets, Deductions, and Credits Explained Graphically was featured in the Carnival of Money Pros. 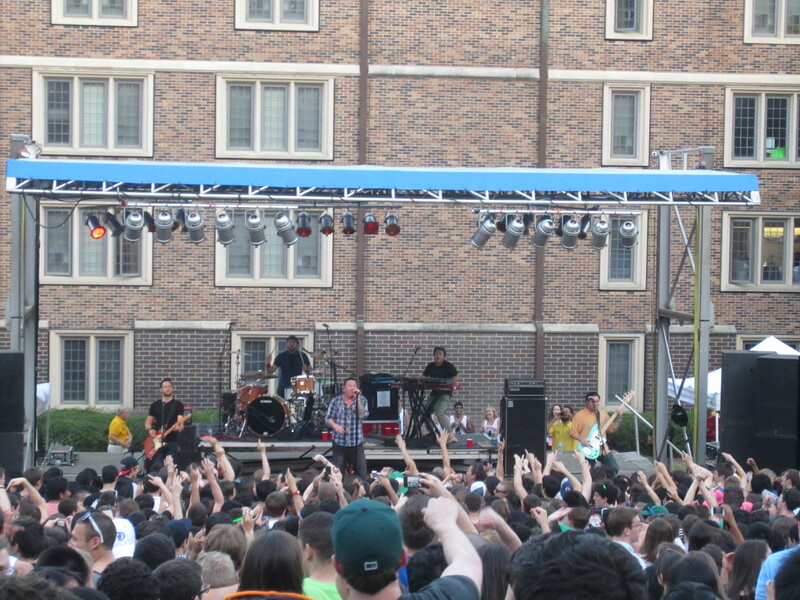 7 Responses to "Favorite Posts, Mentions, and Top Comments Week of 7Apr2013"
College towns are great for music. Thanks for including me this week. Have a great weekend. Kim@Eyesonthedollar recently posted..Eyes on the Dollar 20/20 Roundup # 33- Taxes are Paid! thank you for the mention. Is it that hot already? we have a heat wave here and broken AC as well… thankfully there is always swimming. Sometimes it’s hotter inside our house than outside! I think it’s quite pleasant, actually. Thank you for mentioning my post. I appreciated your comments on it as well. That one sparked some good debate! I hope you had a good weekend.